Ah, Venice. Probably Italy’s most famous cruise port – and certainly one of the busiest as anyone who has battled their fellow tourists for a glimpse of Saint Mark’s Basilica will attest – is a city made for cruising. Sailing into Venice via the Guidecca Canal takes you right into the heart of the city and this alone is worth the price of admission. But, with ever-increasing pressure from the locals about the effect of cruise ships sailing straight into the city, this could soon change. 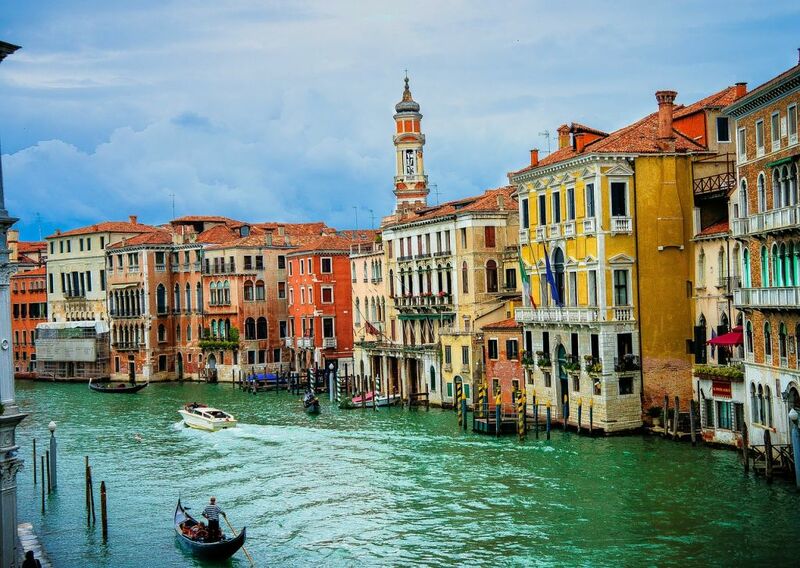 Regardless, there’s no city quite like it, and even if your ship can’t come into the centre, there’s nothing to stop you from taking a gondola ride along those famous canals. Irrespective of whether you are docked in Venezia Terminali Passeggeri or Stazione Marittima, the city centre of Venice is within walking distance. You may want to catch a ride on one of Venice’s famous water taxis but be warned as they are very expensive, and you could be looking at as much as €20 for a five-minute ride. St. Mark’s Basilica: If you only see one thing in Venice, make sure it is St. Mark’s Basilica. This incredible cathedral is laced with architectural styles ranging from Byzantine to Arabic, and its magnificent interior has more frescoes and mosaics than you’ll know what to do with. If you are only in Venice for a few hours, it might be worth pre-purchasing a skip the lines ticket to make sure you actually get in. Burano: Want to escape Venice’s maddening crowds? Consider paying a visit to the picturesque island of Burano – found in the Venetian Lagoon. This quaint little fishing village is lined with colourful houses and, unlike Venice, you are still likely to see fisherman coming in at the end of the day with their haul. It’s also one of the best places in Venice to find authentic Venetian lace and even has its very own Lace Museum. Bridge of Sighs: Venice has more than 150 canals running through it. And all that water means that there’s a pressing need for some way to cross them. Enter Venice’s famous bridges. Although the Grand Canal-spanning Rialto and Ponte dell’Accademia bridges are suitably impressive, it is the famous (and original) Bridge of Sighs which draws the crowds. This tiny, white bridge spans just 11m and its story of being the last view of Venice prisoners would get before being thrown in jail is incredibly romantic. Osteria da Alberto: This charming restaurant is a firm favourite of the locals and serves up a fantastic bowl of one of Venice’s local delicacies, alle seppie nere (squid ink pasta). Cantina Do Spade: Not quite a restaurant. Not quite a bar. Cantina Do Spade is a fantastic eatery in which to relax, enjoy a few drinks and a couple of side plates in the evening. Osteria Al Cason: Venice is famous for its seafood and this intimate restaurant serves a wonderful selection of freshly caught fish every day. Le Mercerie: The place to be if you’re hankering after those major Italian fashion houses, as well as quirky stalls and shops. T Fondaco dei Tedeschi: So much more than a department store. Full of luxury brands and intriguing architectural details, it is quite the place to explore. Rialto Market: Stroll amongst tomatoes and cherries at this famous market beloved by locals – there’s also an attached fish market to explore as well. Getting lost in Venice’s maze-like alleyways and streets is always a possibility – and honestly a near-certainty – and even Google Maps struggles to keep track of where you are, so it is best to set off back to the ship in plenty of time. 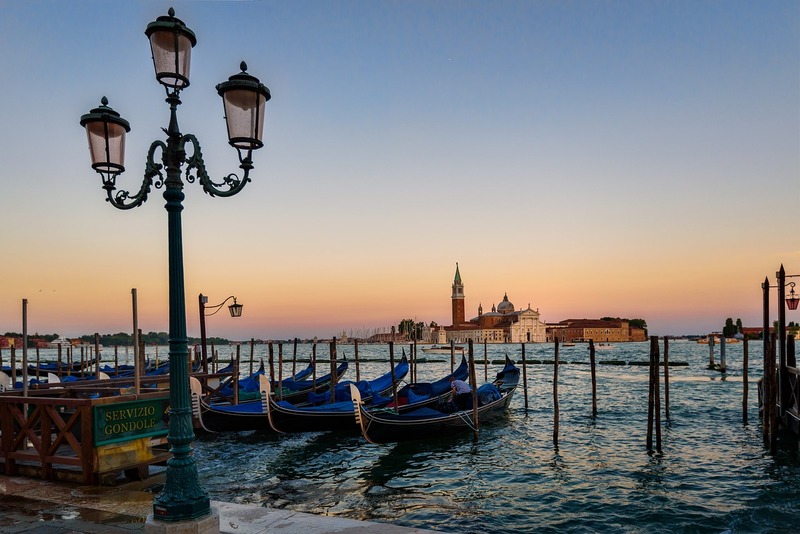 If you are planning a trip to Venice then you may also be interested in checking out the latest ocean and river cruise news and our most recent features on luxury cruising.